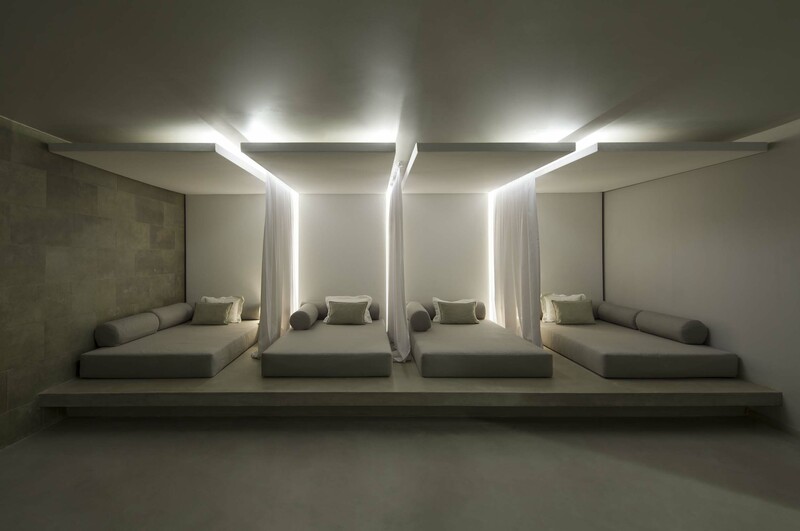 Spa restyling at 5 stars’ Hotel Aguas de Ibiza. 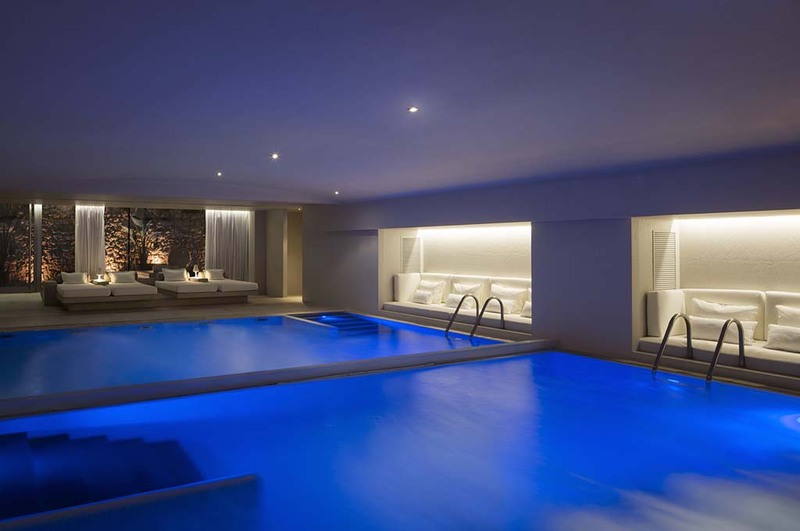 Luxury hotel to relax in Ibiza. Interior design sustainable project. Interior design project in Ibiza to change the style of a hotel near the beach. Sara Folch Interior Design worked close by to the restyling of a 5-star luxury hotel in Ibiza’s spa. The interior design Barcelona studio worked for the Hotel Aguas de Ibiza 5* GL creating a new atmosphere and style to the spa. This luxury hotel in Ibiza has been awarded and recognized as one of the best resorts in Ibiza for the innovative and eco-friendly aspect. 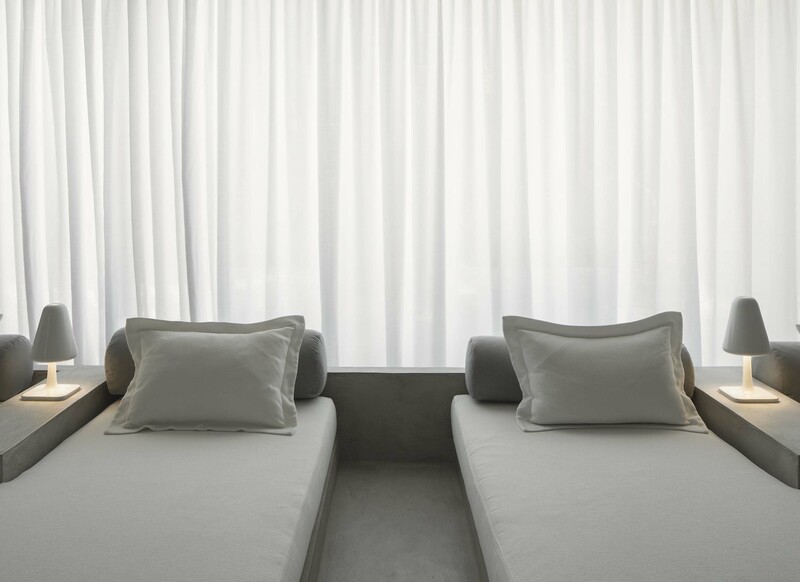 The team at the interior design Barcelona studio of Sara Folch had to create a new Ibiza home design style for the hotel’s spa. 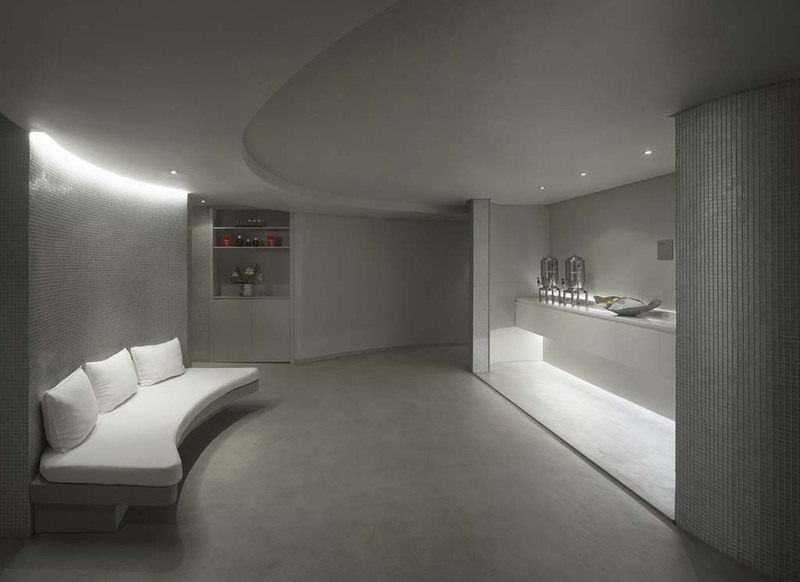 In fact, this project had to be the wellness and inner peace of this luxury hotel in Ibiza. 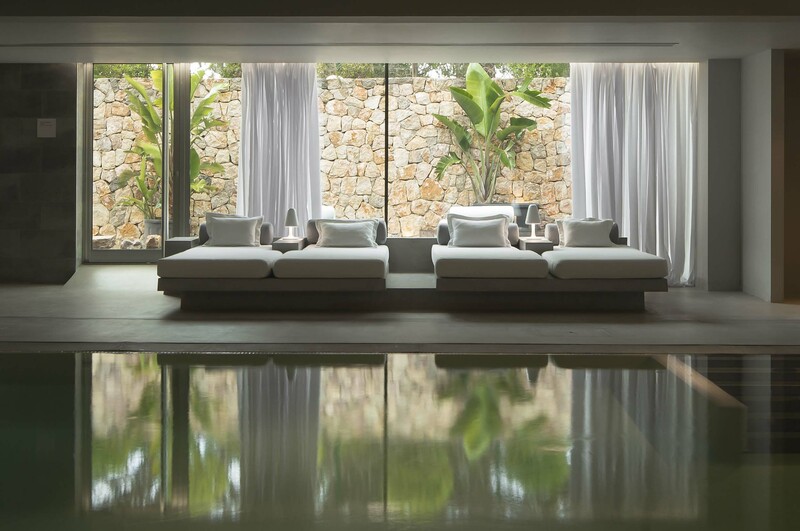 Sara Folch Interior Design has also worked on hotel interior design projects, as the restyling of this spa near Santa Eulàlia del Riu in the Spanish island showcases. 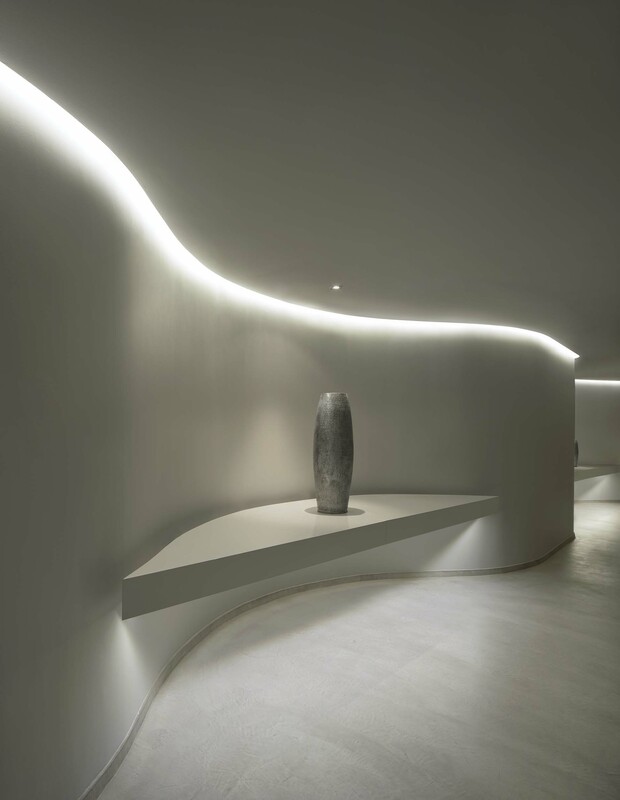 Barcelona architecture was also important when designing this interior design project as the Ibiza home design had to take into a new luxurious space in the hotel. 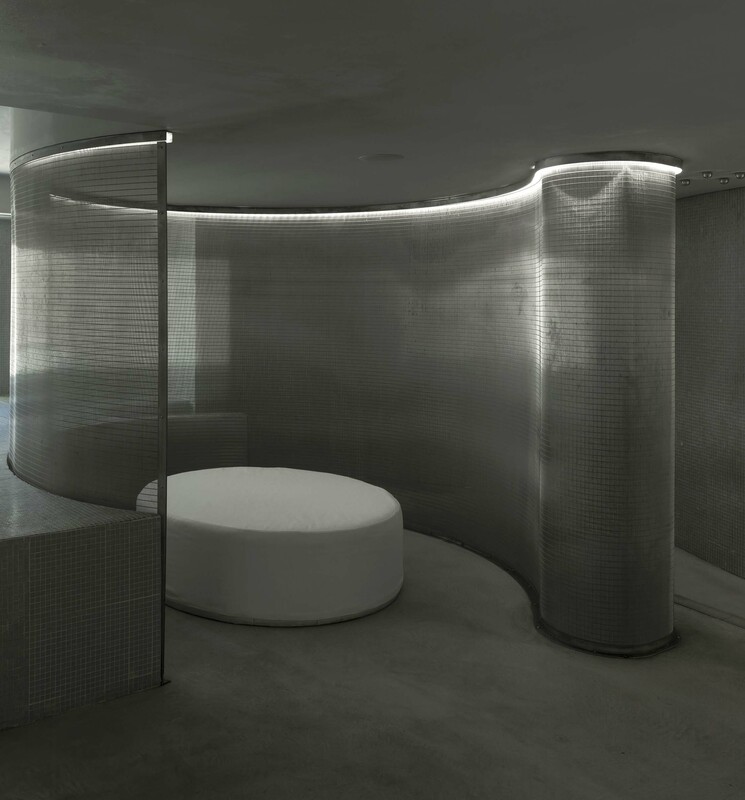 With more than 1,500 square meters to cover, Sara Folch Interior Design designed a relaxing water area combined with a chill-out zone. 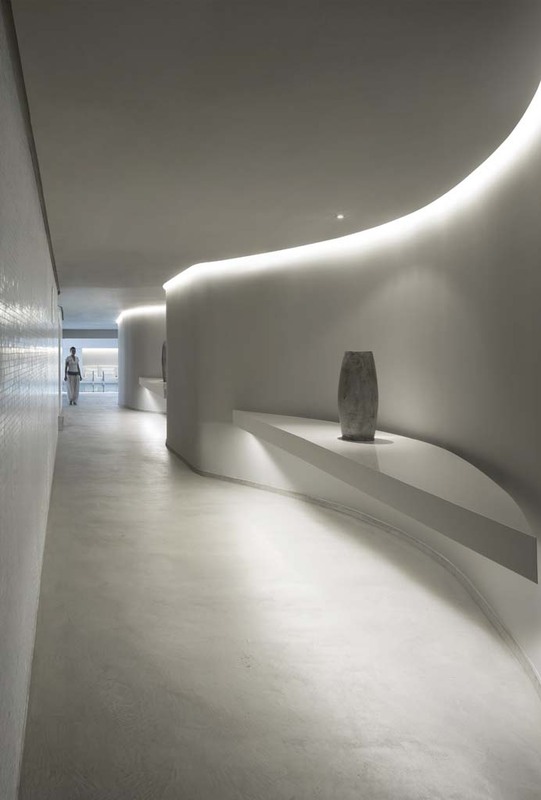 This way, the customer at this luxurious spa can feel in peace and relaxed. 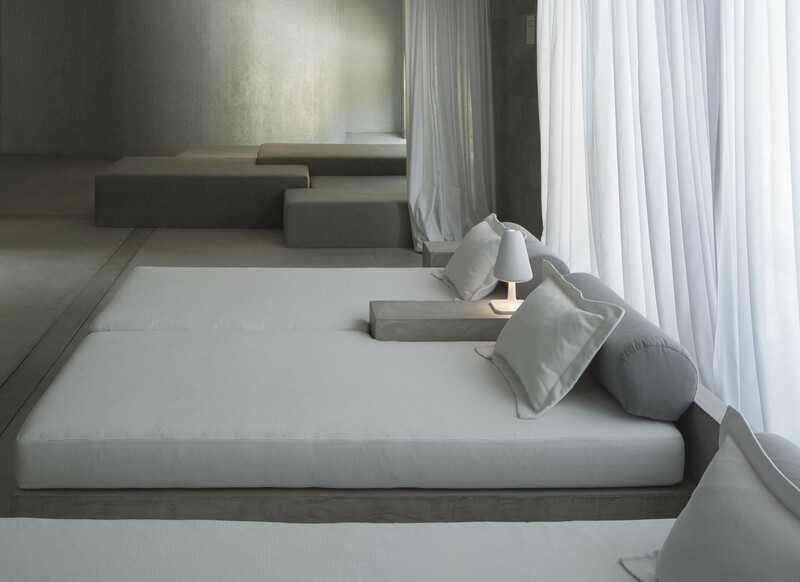 To create this atmosphere, Sara Folch Interior Design worked only using neutral color tones. To achieve this feeling, the team at the interior design Barcelona studio had to light design the experience. The achievement was possible thanks to the perfectly chosen interior design materials to highlight the contrast between the interior and the exterior of the room. The mix of materials among interior and exterior is one of the key elements to feel the change. Gym designing and spa designing are among some of the interior design expertise at Sara Folch Interior Design Barcelona. The professionalism comes after years of working close by with the best gym design collaborators and spa design to achieve luxury design projects. Sara Folch Interior Design has plenty of more interior design projects available to check.